The mere sight of a foundation stick brings me back to the good old days when blending out your makeup wasn't invented. Nope. We used our foundation sticks liberally, making sure to not take it down the neck because again, not invented. Having your face a different shade and texture to your neck most definitely was invented and it's gas just how things have changed.... For the better! YSL recently sent me their new All Hours Stick Foundation to test out and I've been doing just that. I was sent shade BR30 and BR40 and BR30 is the best match for me, even if it is slightly pinky peach toned. BR40 is slightly darker but once I blend it down my neck, it's a winner too. Now, when I first showed these on Instagram (where you'll find me pretty much every day), so many people turned back time and remembered the Pan Stick days of yore. All Hours Stick Foundation is completely different to any other one I've tried over the years. It's got a cream to powder finish, so I don't have to worry about looking shiny, sweaty, slippy and caked in makeup. We're talking a satin matte finish with radiance and that's the type of finish I love these days. Yes it hurt my heart to mess up the gorgeous Y at the top of each stick but sure listen. In the swatch below, you'll see BR30 on the left and BR40 on the right. As I'm fierce pale, I went for 30 but I probably could have gone lighter still. When I take it down my paler than pale neck, it looks so dark initially but it blends out easily. If you watch this video, you'll see the foundation in action. You'll see how easily it glides over my face and how quickly it blends into my skin. I've tried it with a couple of makeup brushes and makeup sponges and for me, the method that gives me the most flawless finish is to pat it into the skin with my Beauty Blender/Real Techniques Miracle Complexion Sponge. The All Hours Stick Foundation evens out my complexion, covers the redness on my nose and if there are areas where I need extra coverage, it builds easily without moving the layer underneath. And the part I love the most is that it dries! This is a revelation because I can use cream or powder products over it whereas with foundation sticks with more slip, I used to be limited to applying cream products on to them or else the powders would stick to the sticky base and not blend. With some foundations, they can tend to gather in my smile lines and frown lines, enhancing both so I never know if I look annoyed or delighted with life. Not so with this beaut. The finish is natural, perfect for every day wear and I find that if I haven't powdered my oily bits, by about 4pm the shine starts to show which is pretty good for me. Usually I get as far as lunch time if I haven't powdered, but getting to nearly the end of the work day without powdering is something. The formula has oil absorbing particles, so that definitely helps me but I'd say if anyone was really oily, you might need to powder a bit earlier. Those with normal and dry skins will get along with this really well I think. Sometimes though if I know I'm going to be out all day and know I won't remember to top up, I'll powder my bits first thing in the morning and I'm good to go. I think it's one of those foundations that looks better on me as the hours go, it's like as the natural oils in my skin mix with it, it just sits nicer. 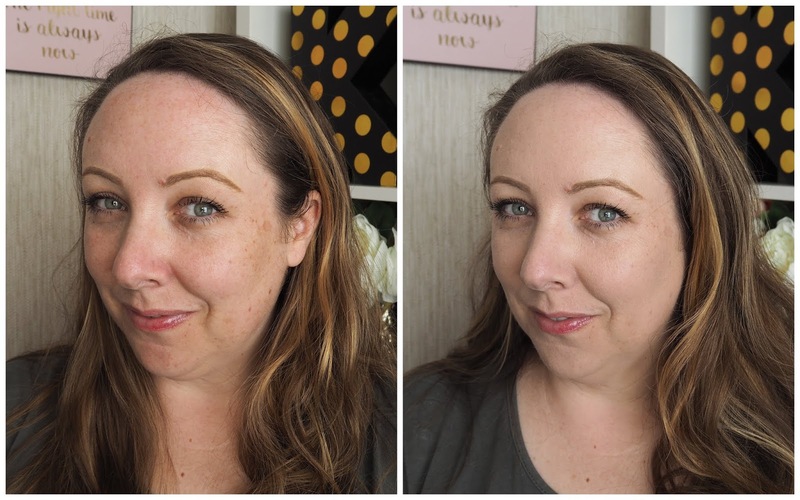 If you're looking for an oil-free stick foundation that feels so lightweight on the skin, that gives a natural finish and that's so handy to pop into your makeup bag or for travelling, then you have to check this out. I think darker or lighter shades would be lovely to highlight and contour with and suspect they'd blend just as easily as these shades. Now before being sent this, I'd watched Tati from Glam Life Guru on YouTube who said that this made her pores stand out even more and it broke down on her skin, but I genuinely didn't have these issues at all at all. But as with every purchase you're going to make, it's worth checking out a few reviews from different bloggers/influencers to get a general feel for the product. The YSL All Hours Stick Foundation is on counters now, comes in 20 shades and is €39.50. 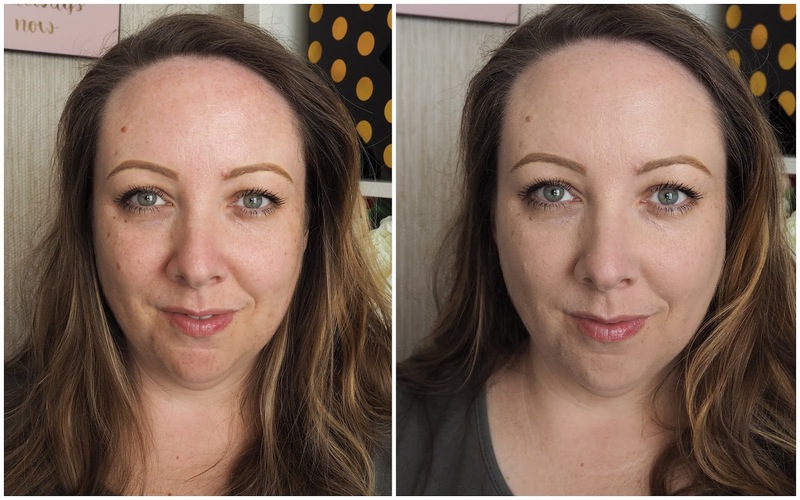 Benefit Brow Contour Pro, before & after photos! Fuschia Paradise Palette review, photos, look! Skincare products that work while you sleep!